Beaufort County Community College celebrated the installation of the campus’ new sign, designed by JKF Architecture! 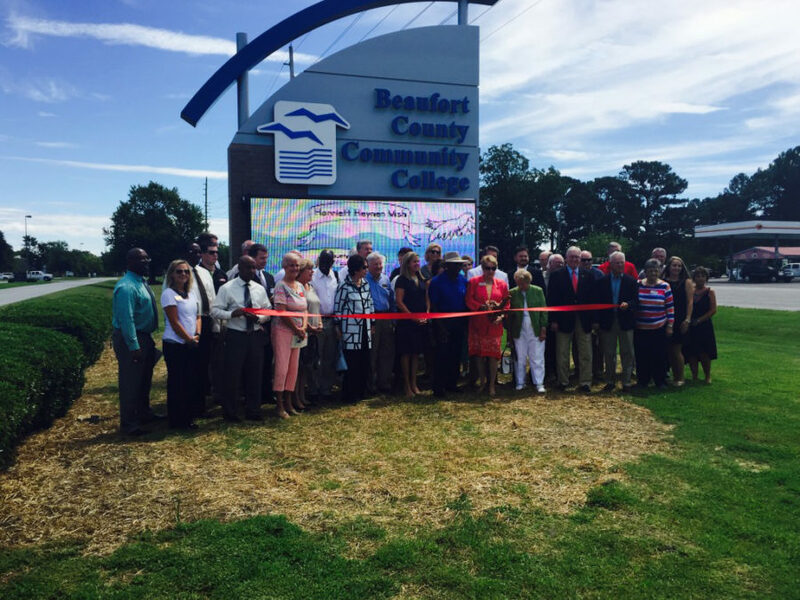 The College, along with its Foundation and the Washington-Beaufort County Chamber of Commerce, held a ribbon cutting for its new electronic display sign on August 24th. It will help inform students about important college and community dates and events, including weather-related announcements. JKF’s Design Team appreciated the opportunity to work with the College on this successful project!